Il pneumatico perfetto per le condizioni invernali. Migliori performance su neve, ghiaccio e superfici bagnate. Eccellente stabilità di guida in tutte le condizioni invernali. Maggiore economicità grazie alla ridotta resistenza al rotolamento ed alla maggiore resa chilometrica. Grande risposta in frenata e sterzata in condizioni invernali e sul bagnato. Grazie al suo design unico, il ContiWinterContact™ TS 850 offre eccellenti performance di frenata sulle strade invernali oltre a grip e maneggevolezza perfetti, anche nelle condizioni più estreme. Minori spazi di frenata sul ghiaccio. Il ContiWinterContact™ TS 850 utilizza una mescola unica per una migliore tenuta sulle superfici più difficili, fornendo ottime performance e aiutandoti a frenare più rapidamente. The German magazine Auto Bild has published in their current issue No. 40 the Winter Tire Test 2015. The tested tire size was 185/60 R15 T, test vehicle VW Polo. The German magazine Auto Zeitung has published in their todays issue 21/2015 the Winter Tire Test 2015. The tested tire size was 185/65 R15 T/H, test vehicle was a Opel Corsa 1.0 Turbo. + best tire in the wet "Conti drives in the wet in a league of its own"
The German ACE (Automobil Club Europa), GTÜ (Gesellschaft für Technische Überwachung mbH) and ARBÖ (Auto-, Motor- und Radfahrerbund Österreich) have published their Winter Tire Test 2015 (www.gtue.de). The tested tire size was 225/50 R17 H/V , test vehicle was a BMW 320i. The test was conducted by ACE in Ulrichen (CH) (snow tests) and at the Contidrom, Jeversen, Germany (wet and dry tests). The German magazine auto motor und sport (ams) has published in their current issue (21/2015) the Winter Tire Test 2015. The tested tire size was 225/50 R17 V/H on a Mercedes C-Class. 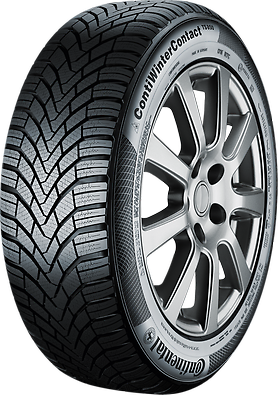 Result for the ContiWinterContactTM TS 850 (225/50 R17 V/H): "Recommended"
Teknikens Värld has published their Winrer Tire Test 2015.